DVDFab is holding a series of holiday season campaigns lasting from July 15 to August 15 with many deeply discounted and cost free products. The campaign going on now is the special offer with 25% discounted DVDFab Blu-ray Toolkit, lifetime version, with DVDFab T-shirt as bonus to user. This campaign won’t end until July 31 (EST), so please hurry up to grab this opportunity. If you have been waiting for a good time to buy Blu-ray Toolkit, it is now. The standard price of lifetime Blu-ray Toolkit is &347.30, and the money saving price always offered by DVDFab is $220. Now, in this campaign, it is only for $165, and a cool DVDFab T-shirt is attached as a gift. So buying DVDFab Blu-ray Toolkit (Lifetime) before the end of the day July 31, you’ll save 182.30 USD, and will get a T-shirt for free. Conversion Speed Increased by 30% — DVDFab 8.1.3.2 Qt Is Now Released with Many New Features and Fixes. I’d like to purchase DVDFab, the program that I’ve been using on your trial basis BUT find your web site offerings confusing and no clear option for purchasing the same program I’m using on the ‘trial’ basis nor any option for sending you an e.mail other than this blog. Hello, slotnick, our customer service will contact you via the mail address immediately. 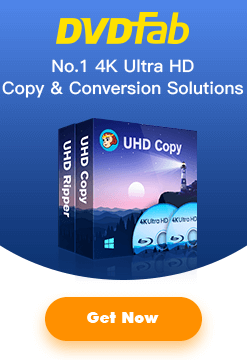 You are our registered user who can always upgrade to the latest version of DVDFab from http://www.dvdfab.com/download.htm , there is no need to send you another backup CD for installing on your xp, since the version on the backup CD is also downloaded from this link. Please try to install DVDFab 8.1.3.1 Qt Beta at http://www.dvdfab.com/mlink/download.php?g=DVDFAB_BETA to see if you can get rid of this lock up issue. haveing trouble with dvdfabqt it wont run when i run the program and it locks up when i down load it to my comp..also it wont remove it self from my programs ..i tryed downloading it a cople of times..